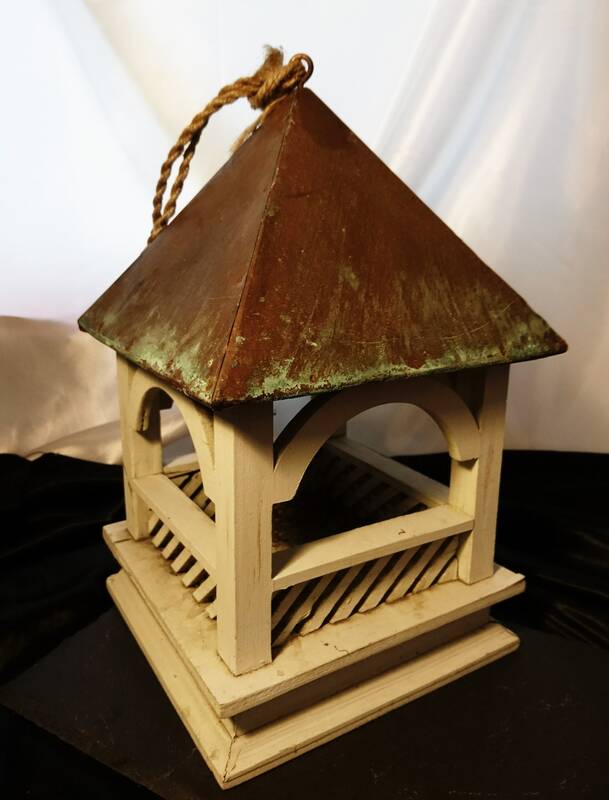 A lovely rustic painted wood and copper porch lantern or bird feeder. 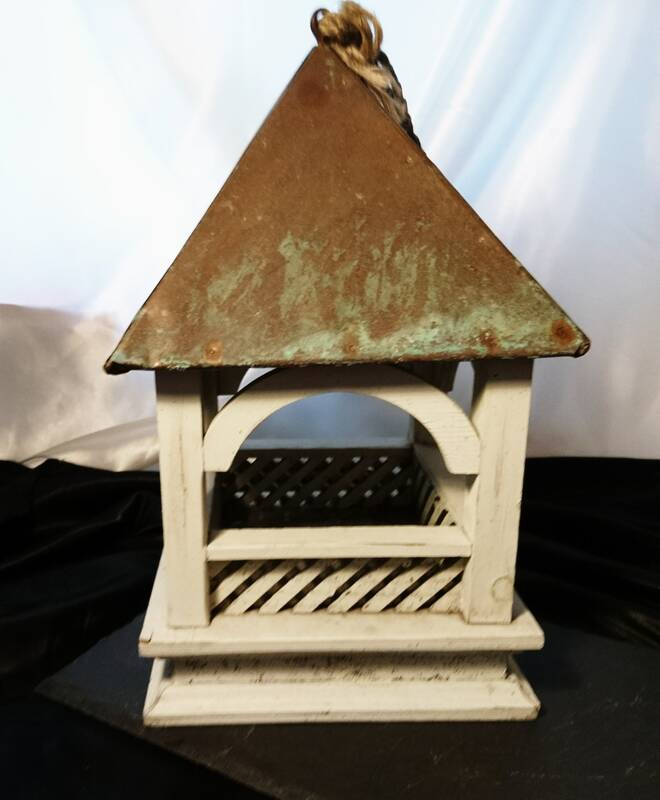 You can suspend it from your porch with a candle in a jar, stand it on your patio table or hang it from a tree and use as a bird feeder. 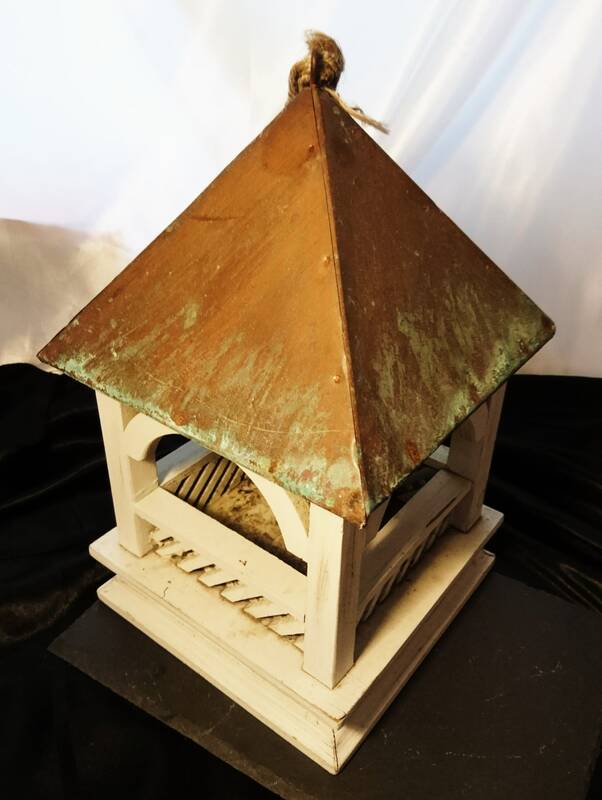 Whatever you choose to use it for it has a lovely rustic country home feel to it, the wood has been painted a light sage green and the roof is covered with copper which has a lovely verdigris on it. 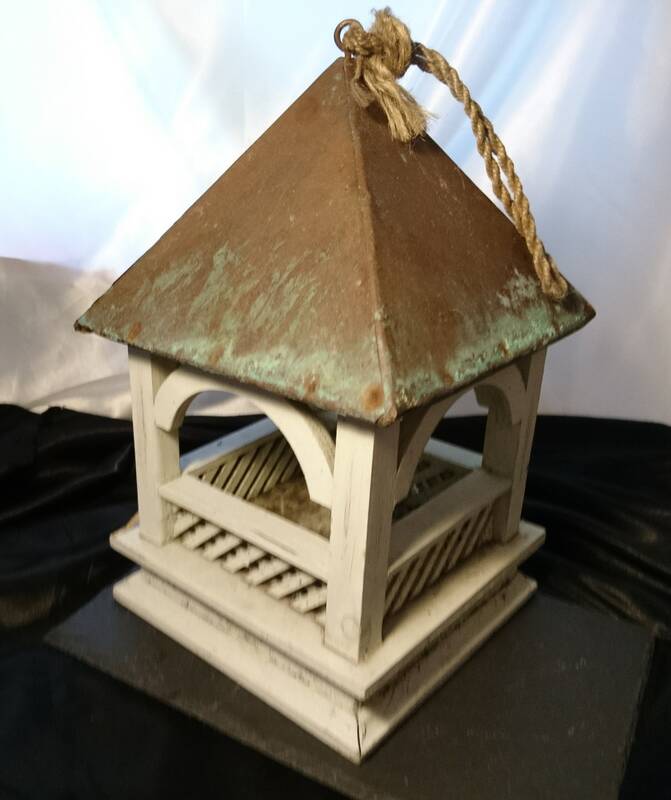 It has a natural jute rope handle or hanging loop to suspend it from the porch. A lovely addition to the garden. 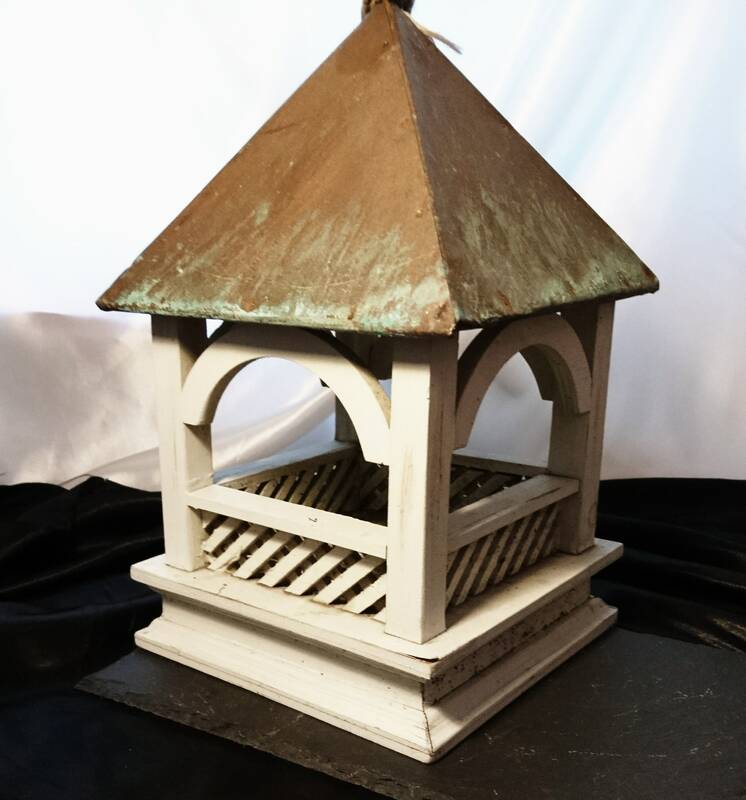 It is in good vintage condition, very strong and sturdy with no chips or cracks, there are signs of use and obviously the verdigris but this really adds to its look.